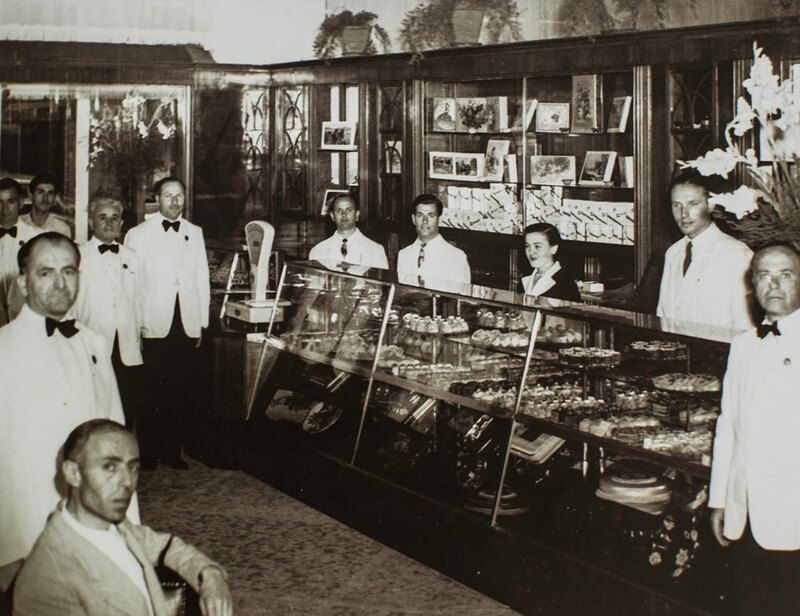 Established in 1939 by Karolos Zonaras after a long stint in the US, where he made his fortunate in chocolate, this is one historical café! Zonars was the first place to import Coca-Cola in barrels straight from the motherland, but what really launched it into the stratosphere was the fudgy chocolate ice cream Zonaras liked to call “Chicago”. It quickly gained a faithful following as the most luxurious coffee & pastry shop in the city, housed in a unique example of Mid-war architecture, which was, is and probably always will be the most expensive piece of real estate in downtown Athens. High-end pastries aside, Zonars left an indelible mark on Greek history, the reasons for this having very little to do with food & beverages and everything to do with culture: Through the years, authors wrote books, actors discussed new plays, composers set their words to music and illustrators produced unforgettable artwork, while seated at its tables. 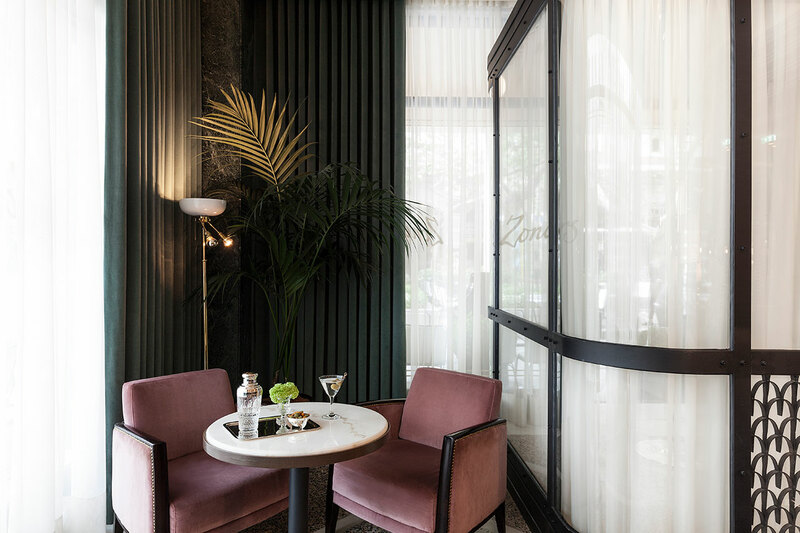 In 2015, formidable entrepreneur Chrysanthos Panas, responsible for some of the biggest success stories in Greek nightlife, restored this Athenian landmark back to its former glory, decades after it had lost its lustre. Inspired by its halcyon days, when celebrity-studded masquerade balls and glitzy cocktail parties were the order of the day, Panas put the magic back where it belonged, along with a sushi menu and a strict non-smoking policy. 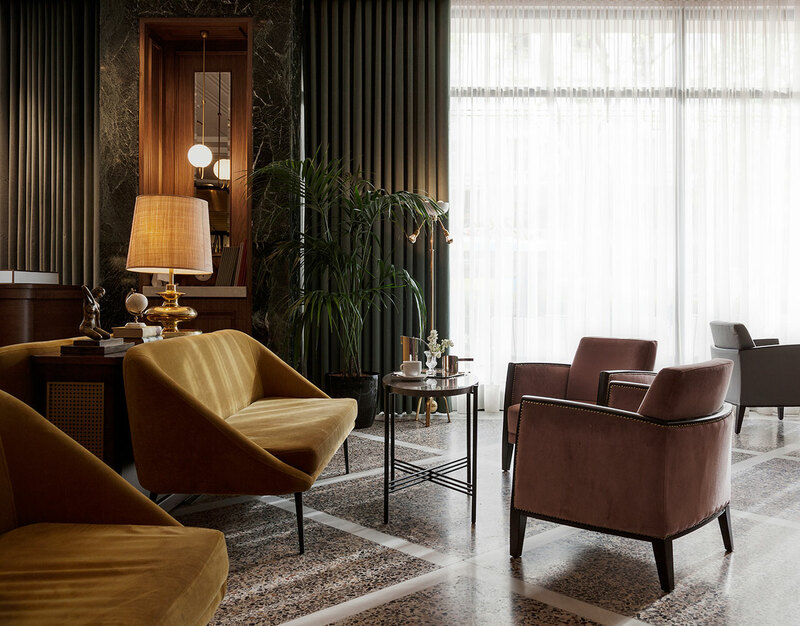 The result is an opulent locale with a glamorous past and an even brighter future. Photo from Zonars archive © Zonars.